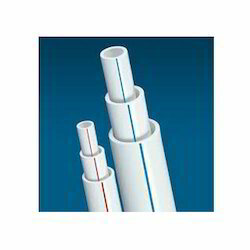 Our product range includes a wide range of upvc pipes. With rich industrial experience, we are involved in offering an extensive range of UPVC Pipe Fitting with the Brand name of SARAL. Offered products are available in various dimensional specifications. These are fabricated from superior grade raw materials and advanced technology to meet the diverse requirements of our clients. Apart from this, we assure our clients to deliver these products in given period of time. No. 6, Balvanti Park, Industrial Estate C. T. M.